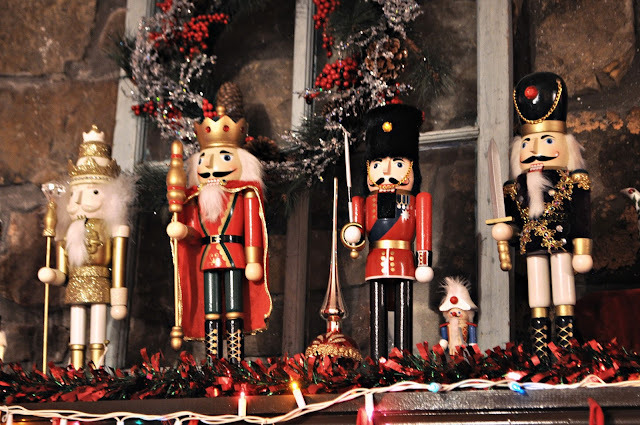 Have you finished your Christmas decorating? I found a few bags of bottle brush trees a couple days ago so I've got to arrange those and then I'm done! I love getting my house all fixed up beautiful to enjoy a peaceful holiday season with my family. We've got a lot of decorations so it usually takes a couple days to get it all done. No problem when I've got my favorite Milo's Tea and Grammy's Nut Cookies for fuel. I just pour a glass and have a little holiday tea party while I'm setting things out! Milo’s Tea Company uses only fresh and natural ingredients, making this tea different from others. There are no preservatives or additives and it's an excellent beverage to serve at holiday gatherings. 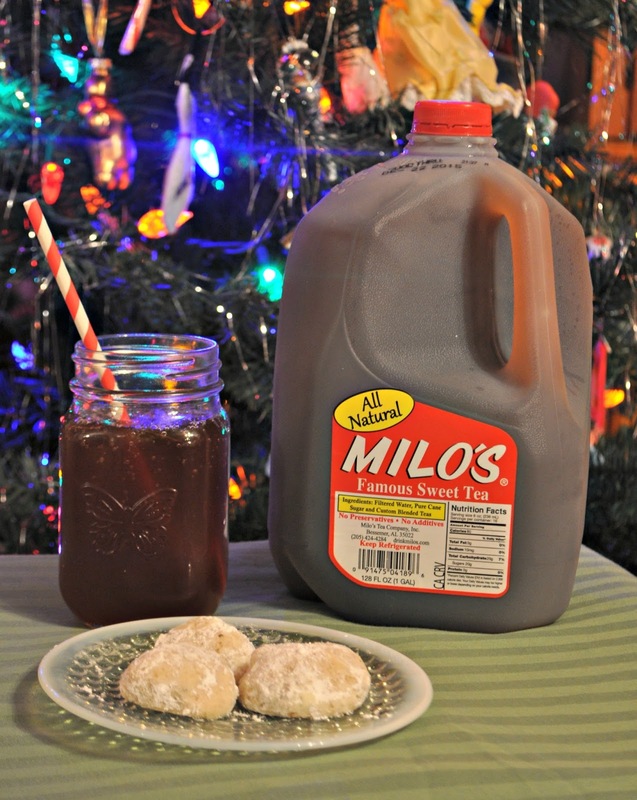 Milo’s is available in Sweetened with Pure Cane Sugar, No Calorie and Unsweet varieties. 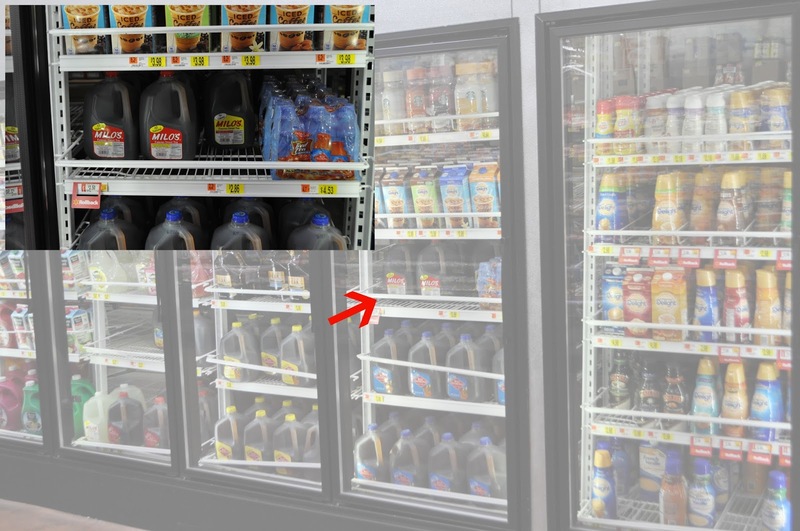 You can find Milo's Sweet Tea in the refrigerated drinks section of Walmart near the coffee creamer and juice. You can buy two gallons of Milo's Tea on Rollback for $5, while supplies last. I first tried Milo's almost two years ago in the perfect Southern sweet tea experience. My friend Lana invited me over to hang out on her porch and poured me some delicious Milo's in a canning jar. She served homemade muffins and we sat on the porch and chatted while the kids played in the grass. It was a great introduction to Southern living for this Oregon girl and it's been my favorite bottled sweet tea ever since! I've really been enjoying getting out all our sweet ornaments and decorations this year. We've been collecting nutcrackers for Lynzie since she was just a baby. She gets a new one every year. This year I gave her the one with the black hair. It reminded me of a guard at Buckingham Palace and since we went to England this past fall I thought it was appropriate. I'm going to have to get Jamie to start buying me some of my own though because my mantel will be empty once she leaves the house with all of these! 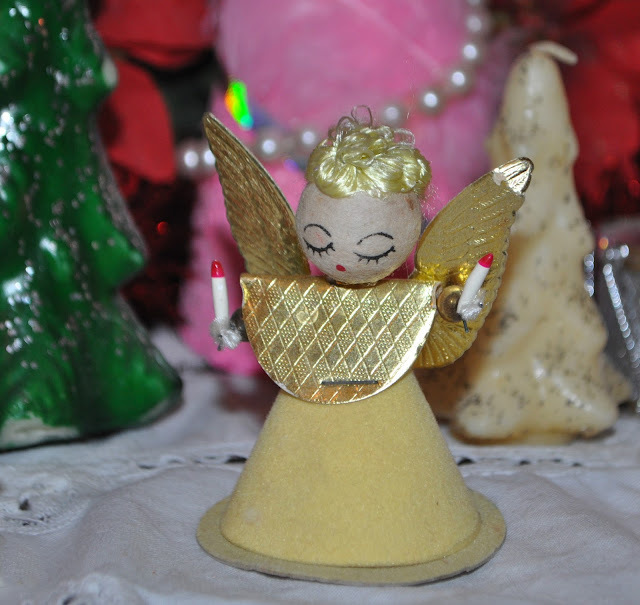 I've been adding to my collection of early to mid-century kitschy ornaments for a few years now. This sweet angel is one of my favorites. You can see some of my Tavern and Gurley tree candles in the background. Remember, I talked about them a couple weeks ago when I was showing off my Thanksgiving pairs. Christmas decorating is always more fun when you've got a sweet treat to munch on. Jamie bought me a cute drink dispenser and a set of canning jar glasses for my birthday so I can recreate my sunny front porch experience even during the cold, cloudy days of winter. 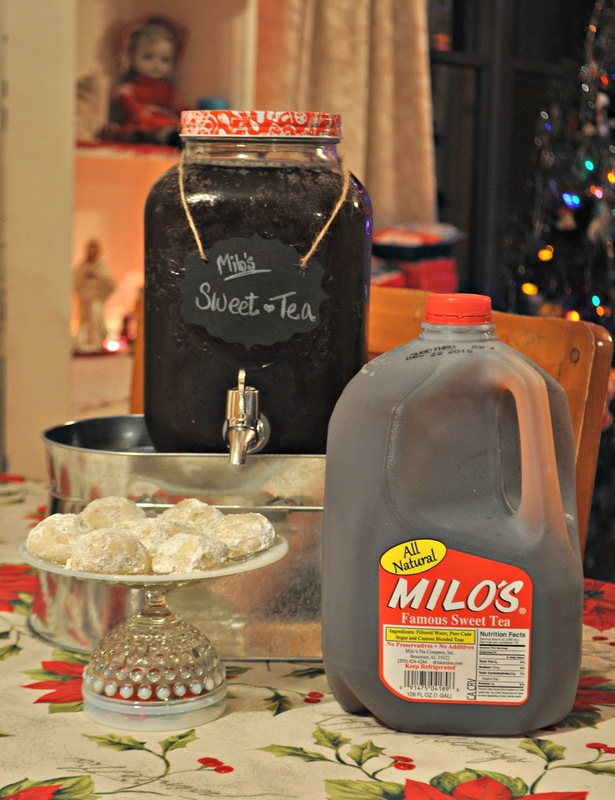 Milo's Tea is excellent for holiday get-togethers too. I can't wait to show off my new dispenser full of Milo's when my guests come over! I need to see if we can buy this in Oregon.